HMAS Warramunga, one of the Anzac-class frigates to be replaced under the SEA 5000 project, sails through the Northern Australian Exercise Area off the coast of Darwin during Exercise Kakadu 2016. Image via Commonwealth of Australia, Department of Defence. Up to 10,000 Australian jobs could have been created if Australian companies were the prime contractors on the $35 billion Future Frigates Project, a Senate committee has heard. David Singleton, chief executive of Henderson-based shipbuilding company Austal, told the Senate committee running the inquiry into Australia's naval shipbuilding industry that Defence's decision to exclude an Australian prime from the SEA 5000 project has cost at least 8,000 jobs. "From the past, that has always been the case, so for every job we have created in this country as a result of Australian programs we've created four additional jobs in exports," Singleton told the committee. "There is no doubt in my mind that as we strengthen, seek to strengthen and do strengthen Australian shipbuilding through these very large programs, we will win additional programs offshore and we will have a multiplying effect on jobs in this country. "We speculate when we say these things ... our history has been that we've created four export jobs for every job from Australian programs if that were to be replicated as a result of strengthening our industry across OPV and frigates we won't create 2,500 jobs in Osborne, we'll create another 8,000 to 10,000 jobs on top of that if we are able to replicate that, and I believe that that's possible and should be our strategic aim." In June this year, Austal and ASC Shipbuilding entered into a teaming agreement that would see them pool their resources, skills and experience and act as one in support of the project to whichever international company is selected as the successful tenderer. It has since been revealed that the request for tender (RFT) issued to BAE Systems UK, Fincantieri and Navantia in March contained no requirement for the use of an Australian shipbuilder – with specific reference to ASC. Evidence presented by Singleton and ASC Shipbuilding CEO Mark Lamarre at the Senate hearing said there was an abrupt change in both company's engagement with all three international contenders after they received the RFT. "Prior to the release of the RFT we, Austal, were heavily involved with all three of the foreign design companies to provide an Australian shipbuilding solution to their offer to the government," Singleton told the hearing. "When the RFT came out that was really the end of that engagement between us and those companies." Lamarre echoed these sentiments, adding, "I would say there was a change [in dialogue] after the issue of the RFT, absolutely." At the same hearing, senator Kim Carr presented claims that Capability Acquisition and Sustainment Group (CASG) deputy secretary Kim Gillis and other CASG representatives spoke with all three international tenders and told them to ignore Austal and ASC Shipbuilding's teaming arrangement to act as builders on the project. "I'm advised that Kim Gillis and other members of Defence phoned each of the designers and informed them to ignore the teaming agreement, is that true?" the senator put to Department of Defence representatives, who confirmed there had been contact with the down-selected organisations following the Austal and ASC announcement. "There was contact with the designers to reassure them that the integrity of the tendering process was maintained," said Associate Secretary of the Department of Defence Brendan Sargeant. 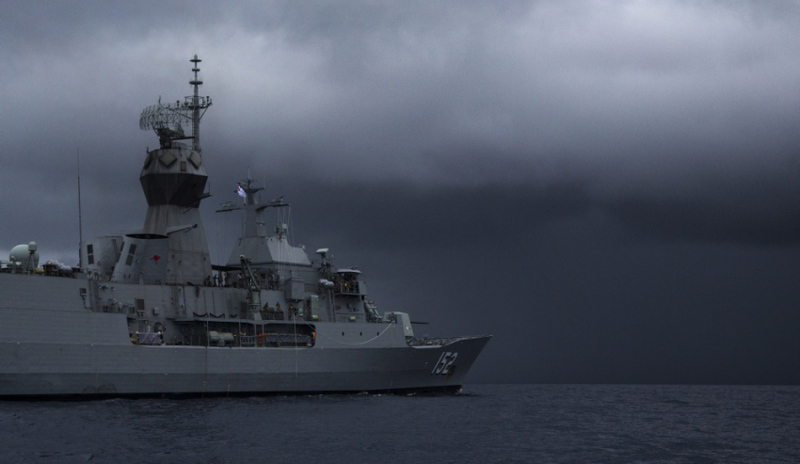 Since the announcement of the Future Frigates Project, Defence has said 2,500 jobs will be created for Australians. The nine vessels are scheduled to begin construction in Adelaide in 2020. A decision on the successful tenderer is expected by April next year.